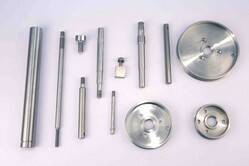 We are manufacturer of Precision Metal Parts for our customers. We are equipped with a highly efficient workforce, sophisticated infrastructure and quality oriented mechanism which provides us the capability to deliver a range in compliance with the international quality standards. 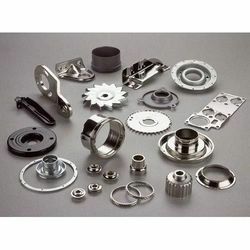 We offer the superior quality precision metal parts as per the requirements. We have gained expertise in delivering a qualitative range of Critical Engineering Parts. These products offered by our organization are provided to various application areas for different industrial purposes. Our products are highly qualitative and are fabricated as per the set norms and standards. We manufacture and supply a huge collection of engineering components that are widely demanded in electrical and electronics industries. We are manufacturing wide range ofPrecision Metal Parts. These products can be made as per customised sizes as required by client.